An investigation has been launched after three "small improvised explosives," one of which partially exploded, were discovered after being sent to major transport hubs in London on Tuesday, police said. No one was injured and no arrests have been made, though the Metropolitan Police are working with the U.K.'s counter-terror forces in the ongoing inquiry. "The packages -- all A4-sized white postal bags containing yellow Jiffy bags -- have been assessed by specialist officers to be small improvised explosive devices," London's Metropolitan Police said in a statement. "These devices, at this early stage of the investigation, appear capable of igniting an initially small fire when opened." "The Met Police Counter Terrorism Command is treating the incidents as a linked series and is keeping an open mind regarding motives," they added. 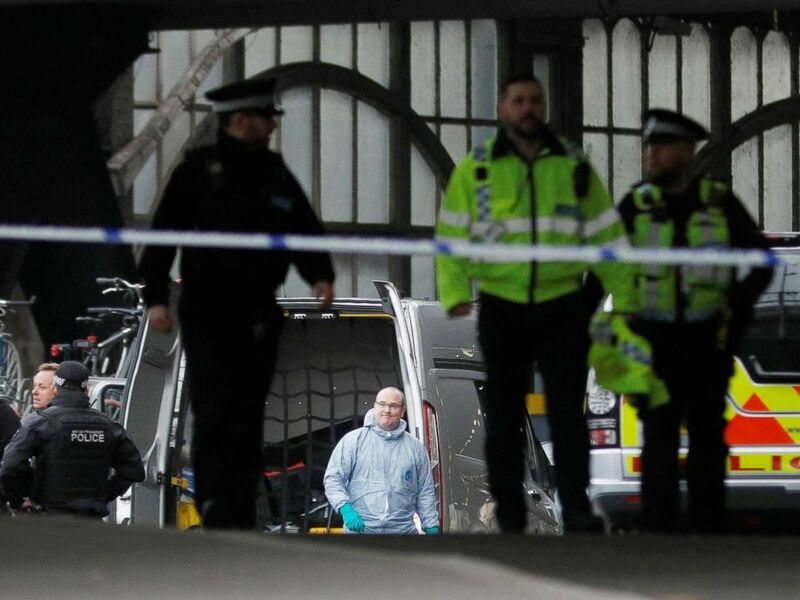 Police officers including one wearing a forensic suit, are seen in a cordoned off area at Waterloo station near to where a suspicious package was found, in London, March 5, 2019. The packages were discovered at various locations on Tuesday morning near three of London's major transport hubs -- Heathrow Airport, City Airport and London Waterloo rail station. Flights to and from the airports were not affected by the incident, and Waterloo rail services are continuing as normal. One of the devices, which was found in Hounslow, East London, near Heathrow Airport, "initiate[d]" after staff at the building opened the package. "This resulted in part of the package burning," police said, though nobody was injured in the incident. The building was evacuated as a "precaution." A photo of one of the packages seen by ABC News appears to show that the explosive device had a sender's address from the Republic of Ireland. 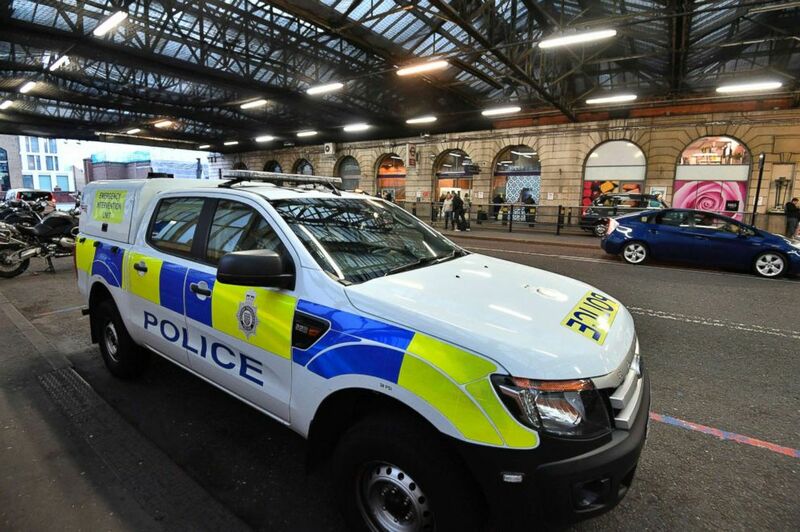 A British Transport Police vehicle is seen at Waterloo Railway Station, after three small improvised explosive devices were found at buildings at Heathrow Airport, London City Airport and Waterloo in London, March 5, 2019. The mayor of London, Sadiq Khan, said he had been "fully briefed" on the packages and thanked the authorities for their quick response. "The police are … keeping an open mind regarding the motives," he said in a statement on Twitter. "I urge all Londoner and visitors to our city to remain vigilant, and report any potential suspicious packages to the police." Sky News defense and security correspondent Alistair Bunkall posted a picture of the package sent to Heathrow Airport on Twitter. A sender's address on the envelope says "Bus Erean Dublin," an Ireland based bus company. The stamps on the package are also believed to be from the Republic of Ireland. 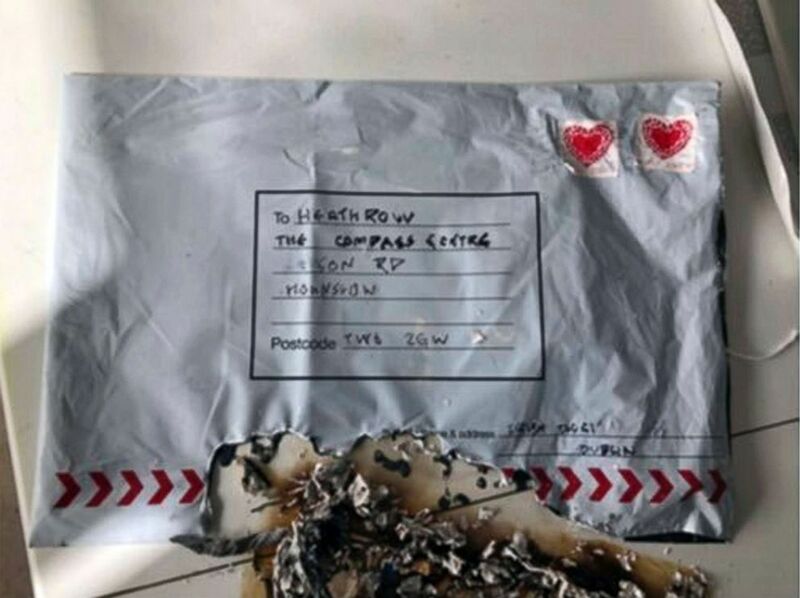 In this handout photo provided by Sky News, a suspect package that was sent to Heathrow airport and caught fire is seen in England, March 5, 2019. "Look closely at the stamps," Bunkall said in another tweet. "They say Eire on. Rep of Ireland." Gardai, the national police force of Ireland, declined to comment to ABC News on reports in the media that they had been working in conjunction with the Metropolitan Police. 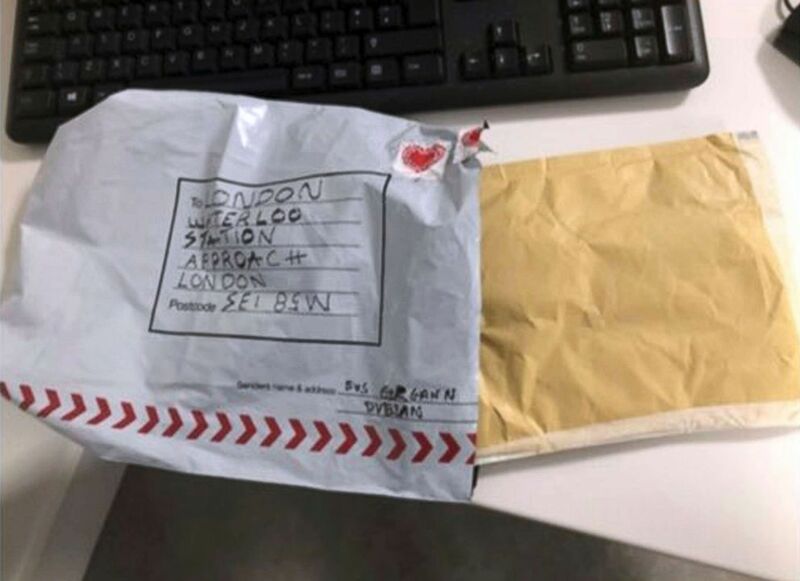 In this handout photo provided by Sky News, a suspect package that was sent to Waterloo station is seen in England, March 5, 2019. Irish police have been expecting an increase in activities of the New Irish Republican Army (New IRA), a U.S. designated terrorist organization with the aim of uniting Northern Ireland and the Republic of Ireland in recent months, according to the Irish Independent. At this time, however, there is no indication the devices were linked to the New IRA. "As would be expected, we are working closely with the CT [Counter Terrorism] Policing Network and our police partners more widely," the Metropolitan Police told ABC News in a statement.